You need to move around the city to a group, but do not want to have to worry about having to pay exorbitant taxi fares or know at all times where every one of its members. Rent minibus with driver is presented, in cases like this, as smarter solution is not only cheaper, but can keep better control over travelers. And no, it is not the only situation in which rent minibus with driver is the right decision. There are more and we will meet other examples. Rent minibus with driver is another favorite choices when you want to tour the city where stops will be made to observe monuments or places of interest, as it allows to count every time the passengers return to their seats and therefore, ensure that none is lost. For groups of pensioners or sports teams base, rented minibus driver is also a cheap way to get around. About it enables them to move to other parts of the national territory at affordable cost for its battered economy, while others helps them take part in provincial or interprovincial competitions. As can be seen, there are a number of situations where rent minibus with driver is the best possible solution. If you need to rent minibus with adriver to be in any of these situations or any other, please contact Torres Busand request budget . We will attend with all the attention it deserves. 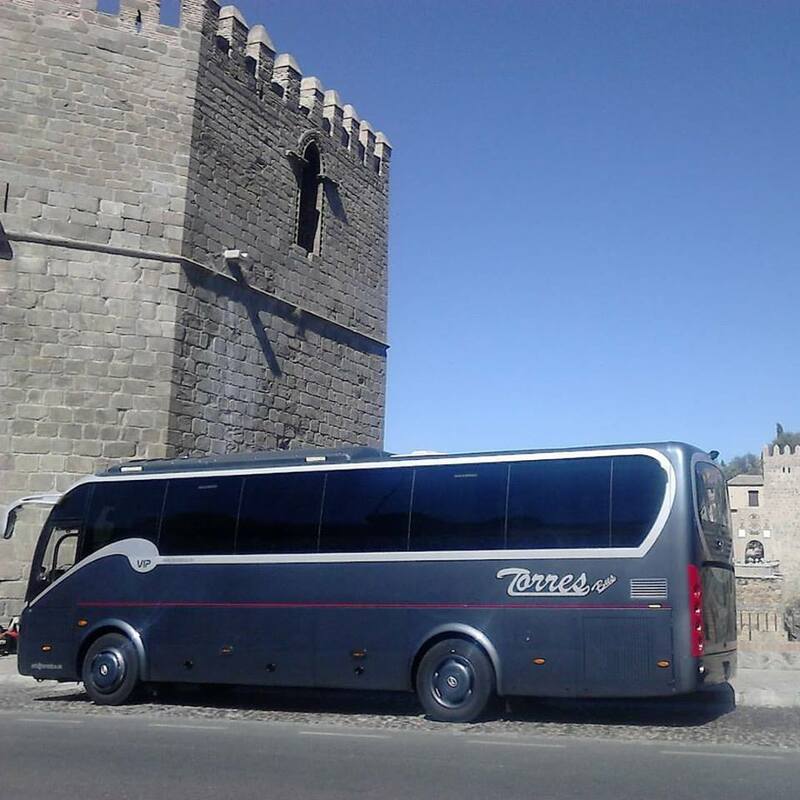 Welcome to microbuses Torres Bus Service buses in Spain – The leading company in Spain, contract with our company offers rental services minibusand bus rentals nationwide throughout Spain and Europe. You can get afree quote now and save money with microbuses in Madrid Torres Bus – Spain. Bus hire , bus rental and hire minibuses with driver in Madrid – Toledo – Andalucia – Barcelona – Valencia. Day trips, sightseeing, meetings, congresses and conferences, golf and sports club, transportation for Weddings and Bachelor. Torres Bus offers a minibus and bus premier in Madrid – Spain. We have available Minibuses 7 and 16 seater buses and 35 to 50 and 70 seats all with the ultimate in safety and comfort. By hiring our services and buses minibus hire you is being put in the hands of professional transport and ensure the success of your event and your guests. Our buses and minibuses are equipped with individually adjustable arm, footrest, seat belts, tray table, air conditioning, electronic stability program , ABS, refrigerator, GPS, DVD and CD player, WC and microphones. We operate all tourism related circuits in Spain and Europe, local services in Madrid, religious groups, weddings, meetings, conferences and events Groups of seniors, travel agencies and tourism, youth travel, cultural tourism programs “tailored” schools, colleges, universities and private companies.